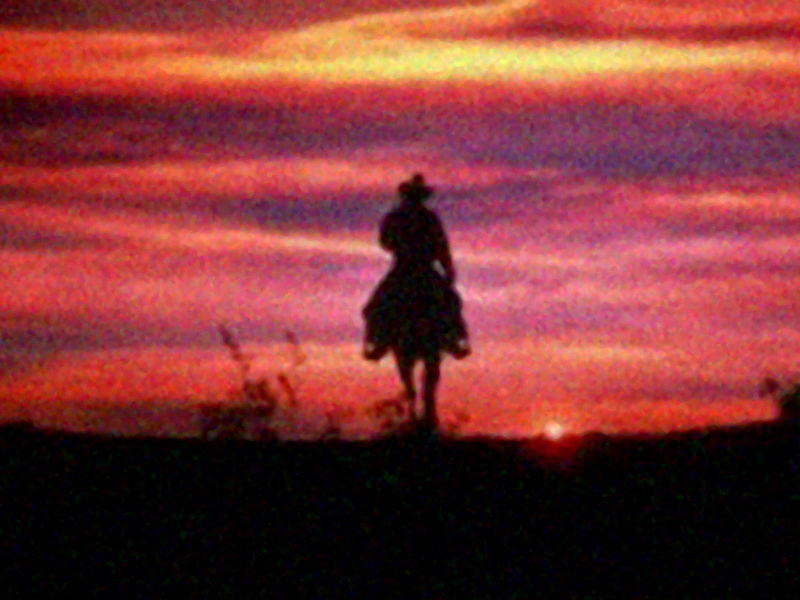 There is something about the cowboy-riding-into-the-sunset image that is alluring. Countless movies end with the viewer/camera watching the swaying back of the horseback cowboy heading off into the glow of the setting sun, and a google image search will reveal kitsch and parody–it’s so cliché people don’t know what to do with a cowboy and a sunset anymore except put the two together and get misty-eyed. I have to admit, I got caught up, too: while trying to deal with the death of a good friend from liver cancer, I planned to use that image for a blog epitaph. But as I simultaneously grappled with his absence and rejoiced in the presence of his wonderful family, I found that the more I pursued that trail, the faster it petered out or took wrong turns. The key to the code of the riding-into-the-sunset thing is the lone figure on the horse. The cowboy/gunfighter of pop culture fame drifts into town like a tumbleweed, and unlike a real tumbleweed, which gets caught up under a car’s undercarriage and has to be disentangled from the axle with many fervent curses, the cowboy/gunfighter drifts out again. Alone, maybe touching a few lives, but remaining separate from the common herd. Anyone who knew Mark would recognize the disparity right away. Raconteur, teacher, friend, family man, political ranter, steam room connoisseur, advisor–always fully engaged, and not a drifter at all. While he was sick and after his passing, where we have gathered, I’ve felt him present at the party. Mark’s service, in a cold but beautiful cemetery in Sleepy Hollow (home to a more demonic horseman), was a testament to the fact that he would not be a lonely rider moving toward the western horizon. In fact, he has a host of people, a veritable town, seeing him off. Like the more complex western heroes that came to life through the able lenses of John Ford, Anthony Mann, and especially Budd Boetticher, Mark had many facets that came to life with repeated viewing/conversation. Like any western hero, he went on his final journey on this plane with courage. Words can’t express. And thankfully, the cowboy riding into the sunset doesn’t either. 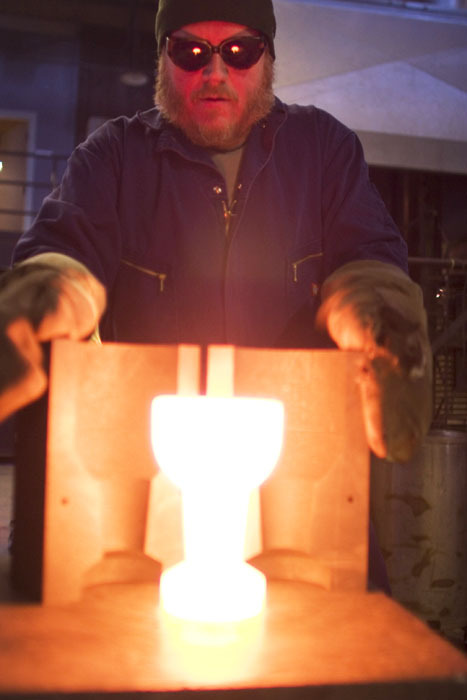 I knew Mark when I was studying at MassArt- 1986, I was taking my first glass class. We hung out with some friends. I was surprised to know that he passed away. He made a glass brain cast and I still have it with me. I infact told my kids about him. We will remeber him and some hope to meet his wife and kids. Thanks for stopping by. We have some Mark objects too, and prize them, although he would agree his biggest and best projects are his family! You may want to stop by the site in his memory, http://damaso.com/mark/. Feel free to leave a memory.